WWF-Philippines, through its pioneer project on sustainable consumption and production, The Sustainable Diner: A Key Ingredient for Sustainable Tourism hosted the third edition of “Savour Planet: Cooking with a Purpose” last Saturday at the Nurture Wellness Village in Tagaytay City, Cavite, Philippines. I received an invitation from WWF-Philippines to attend this event together with representatives from traditional and digital media, fellow bloggers, and delegates from the international offices of WWF in Germany, France, Thailand, and Indonesia. As it was a pretty informative event, I decided to make this a two-part blog post, or possibly even three. This post will be about The Sustainable Diner and part of what happened during the workshop. 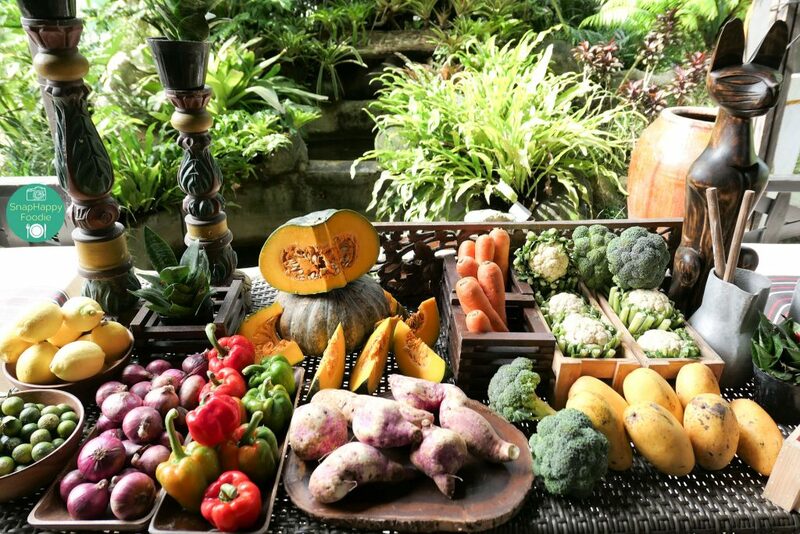 The other post(s) will delve into the Healing Kitchen cooking session and the tours, plus the Nurture Wellness Village. Anyway, I love food and I’d love to ensure that there’s enough food to go around for everyone, including and especially future generations. I’ll share more information than what you’re used to here in my blog, but it’s information that will do all of us a lot of good. I knew it was going to be a fun workshop when I saw this. It looked promising to me. I learned about sustainable development back in the 1990s, but sustainable dining? Enlighten me, workshop. 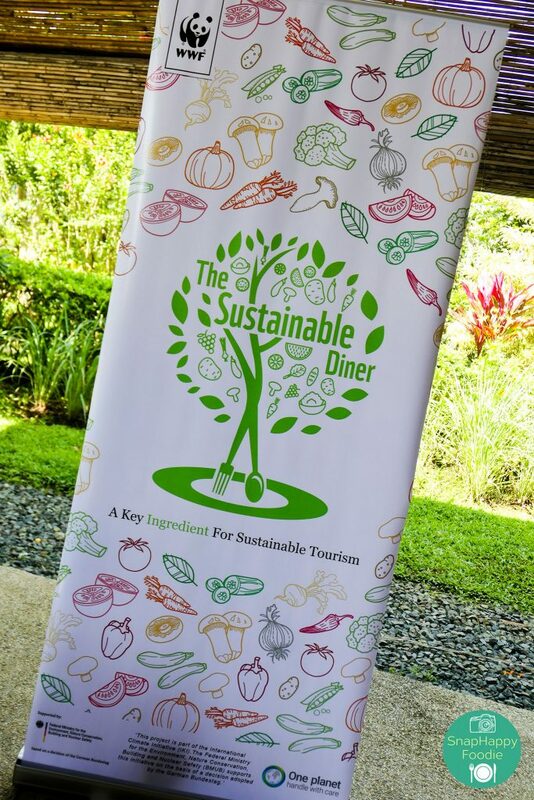 WWF-Philippines defines Sustainable Dining or eco-friendly dining as “a set of consumer practices that promote environmental sensitivity when dining” (WWF PH, 2017). What sort of practices, you may ask? 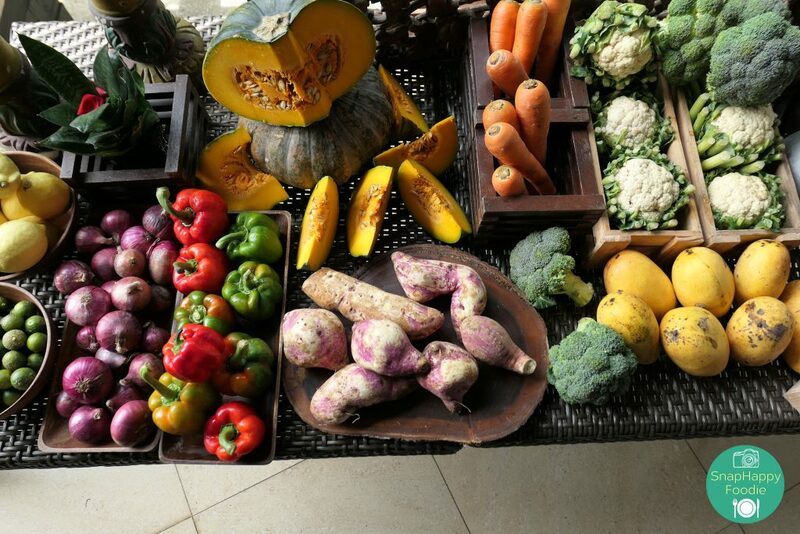 You can practice sustainable dining by eating healthy, locally sourced food, or by eating out at sustainable food service establishments. It also includes minimizing or totally not using single-use plastics by bringing your own reusable utensils, as well as using resources like water, electricity, etc. mindfully. Lastly, it includes making sure that when you eat, you eat food that you can finish easily on your own. Huwag takaw-mata. That way, there will be no leftovers. It’s a three-year project by WWF-Philippines with project sites in Quezon City, Cebu City and Tagaytay City. Its main donor is the German Federal Ministry for the Environment, Nature Conservation and Nuclear Safety through its International Climate Initiative (IKI). 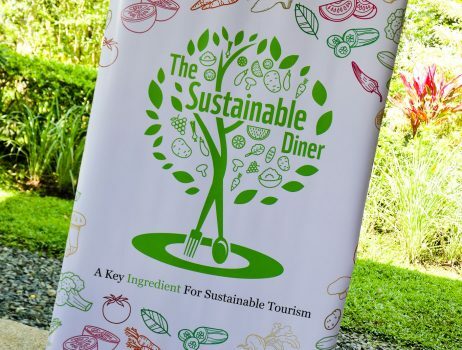 The Sustainable Diner project of WWF-Philippines aims to contribute to improving the implementation of sustainable consumption and production (SCP) and lessening food wastage in the country. 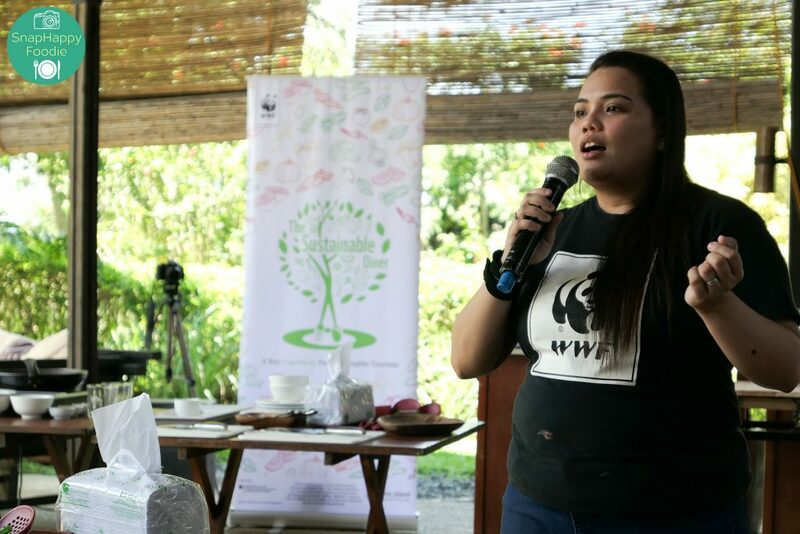 WWF-Philippines wants to engage the government, food service businesses, and consumers so they will support sustainable dining practices and help make the Philippines’ food service industry more environmentally friendly. With those goals in mind, The Sustainable Diner came up with a 9-Step Restaurant Guide, which I’m sharing below. Dine in sustainable restaurants often. Choose dishes made of ingredients that are in season. Be adventurous! Try plant-based dishes. Order only what you can finish. Ask about the dish and its ingredients. Don’t be afraid to request for modifications. Bring your own reusable utensils. Educate your friends about sustainable dining. Well, it was a very busy Saturday for all of us who attended the event. There were micro-talks, a cooking session, a composting tour and a farm tour – all in one day. Thankfully, the sun was out and the weather cooperated. 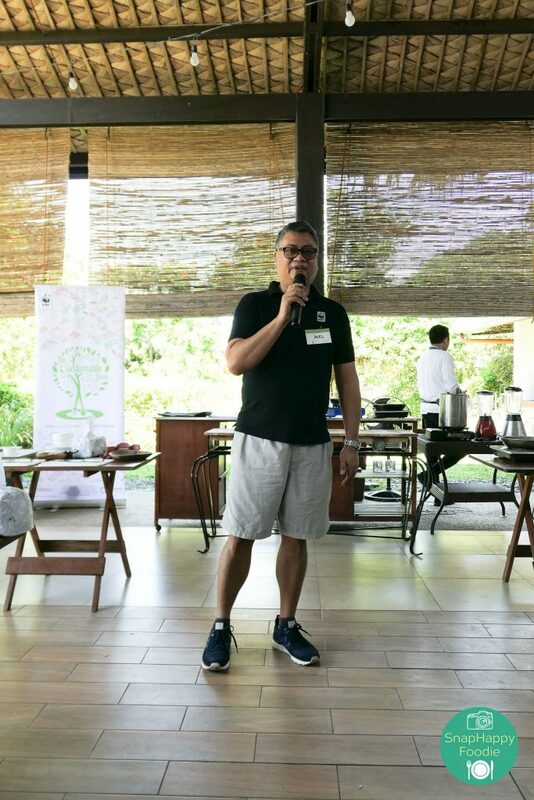 Mr. Joel Palma, CEO and President of WWF-Philippines, welcomed our group by talking about sustainable food in the Philippine context and the need for all of us to go back to basics. He reminded us that we need to get back in touch with our cultural heritage and the natural resources that have fed and sustained so many generations of Filipinos. Nurture Wellness Village’s Operations Manager Ms. Leslee Benitez discussed their philosophy of holistic CHOICES. Ms. Melody Melo-Rijk, project manager of The Sustainable Diner project and sustainable consumption and production in the Philippines, threw light on the media’s role in informing and educating consumers about sustainable food and dining. 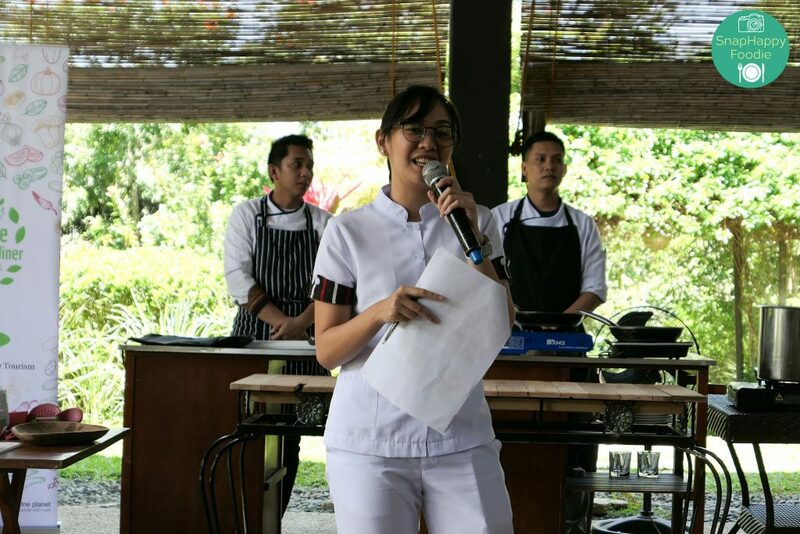 Ms. Christine Alcantara, Nutritionist-Dietitian of The Healing Kitchen Team, talked about the importance of healthy food and healthy diets. These micro-talks were followed by The Healing Kitchen cooking session, where we were grouped together in four teams and assigned our respective stations. But that’s a post for another day. I’ll share my photos in my upcoming post. Stay tuned! Disclosure: I attended this food event for free in exchange for writing about this event on this blog. While this is a sponsored post, all opinions are my own.